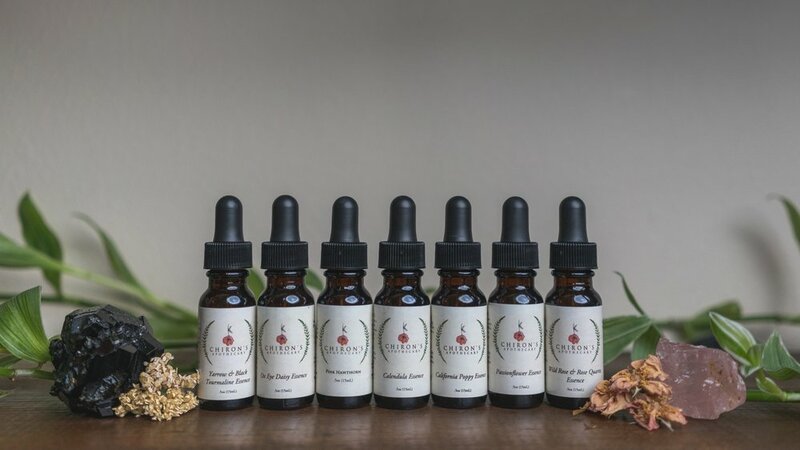 Flower essences are subtle and vibrational remedies, meaning that they work on the energetic body (mind and heart, feelings and emotions) which, in turn, helps to deepen physical healing. They help us to unwind patterns and conditionings that no longer serve us in order for us to embody our best selves. When we become more aware of ourselves in this way, our perspectives on life can shift to a more positive perspective, our relationships can improve, and our hearts can open more fully. The bridge between the physical and the spiritual, Chiron is directly represented within flower essences and their ability to relate physical healing with mental and emotional wellbeing. Chiron shows us that through facing our deepest wounds and traumas, the most potent healing can occur. Flower essences are here to help us bloom into our best selves. Our Ox Eye Daisy Flower Essence is currently the only essence we have left in stock. Grab yours before it’s gone. Want to be the first to hear about new product releases, sales and events? Click this button to join the Chiron Community!